If you’ve been following me since the very beginning, you’re all aware of my original rant about the Acura ILX. Four years ago, I had written a piece about understanding it better than most people, and Jalopnik had shared it. It had leaked quite a bit of ink online and marked the official start of Clavey’s Corner as we know it. Then I drove the car again two years later, and my opinion of the thing hadn’t budged. 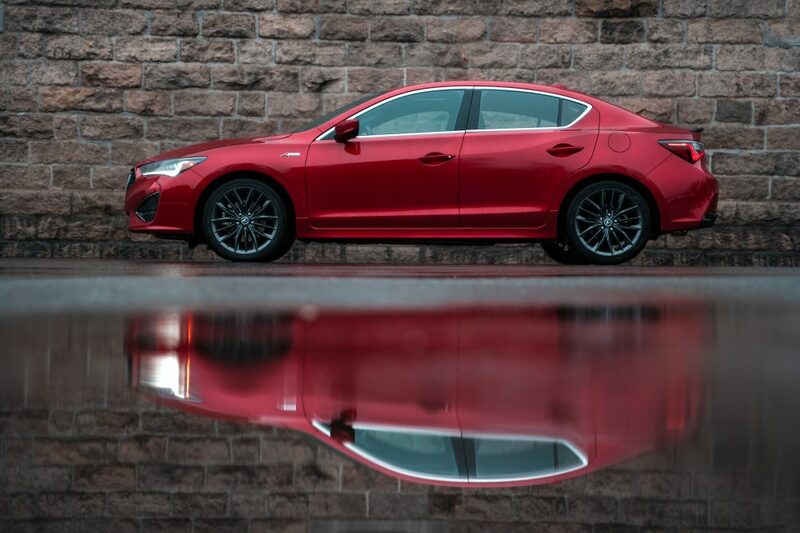 This year, Acura has given the car yet another facelift. It’s still old, and based on a dated Civic platform, but it’s still totally relevant. I also still understand it better than many of you. Since the ILX has been released, Germany has been busy dishing out solid little contenders such as the BMW 2-Series, the Audi A3, and not one, but two little Mercs – the A-Class and CLA. All those cars are better vehicles than the ILX. But, none of them can be had for $35,000 fully equipped. Actually, most of these cars start in that price range, which allows the little Acura to be sort of alone in its niche. Which makes it interesting. 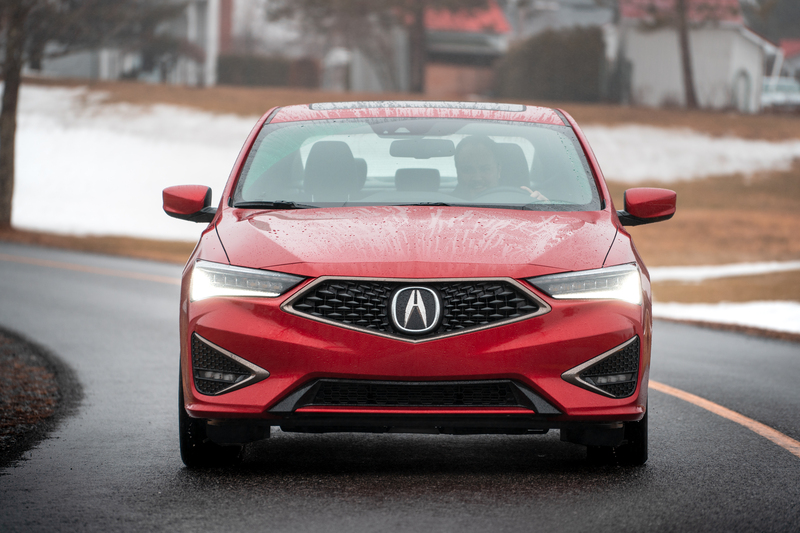 The facelift is mostly cosmetic, the ILX finally gets Acura’s Precision grille, which definitely gives it a much more upscale and sportier look than its predecessor. The A-Spec package, mostly an aesthetic option, adds sportier bumpers, skirt kits, a decklid spoiler, nicer wheels and a sport-oriented interior, with seats that can be painted bright red. Exterior paint jobs, such as this the Performance Red Pearl, are also exclusive to the A-Spec package. 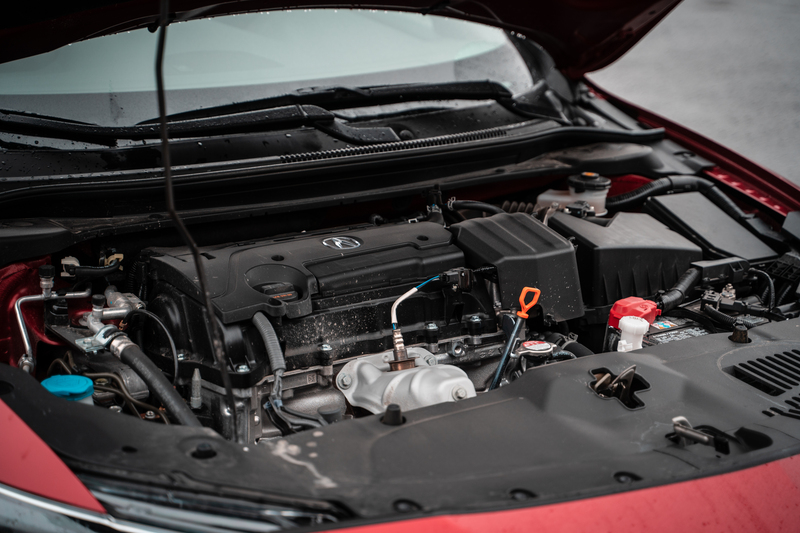 Nothing changes under the hood, the ILX is still powered by the tried and proven 2.4-litre naturally aspirated four cylinder that used to power the last-generation Civic Si. It’s good here for 201 horsepower and 180 lb-ft of torque. 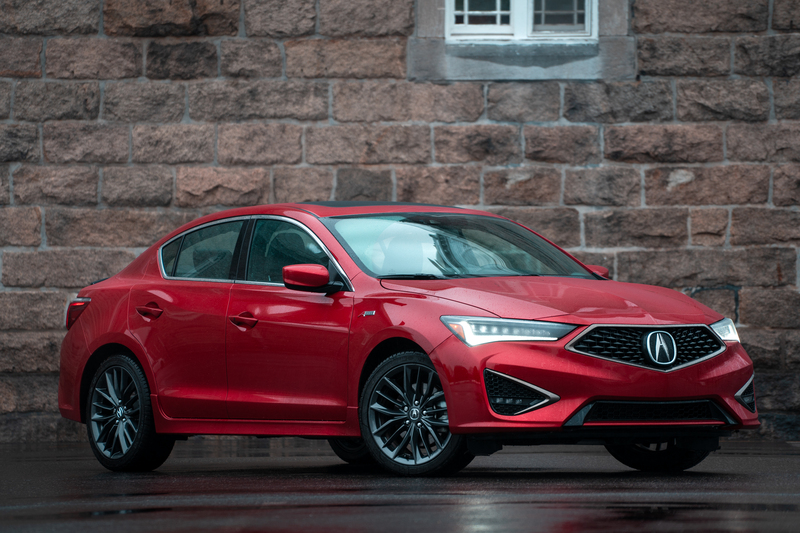 I’m pissed that Acura has ditched the manual gearbox for this car, as it would have made a tremendously enjoyable companion to that gem of an engine. 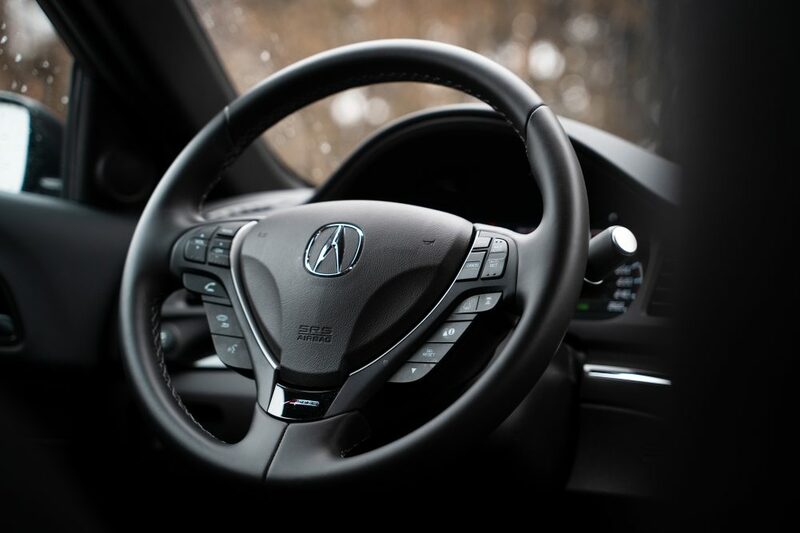 All ILX’s therefore come with an eight-speed dual clutch automatic. It’s at least a very good unit, but I’ll get back to it later. 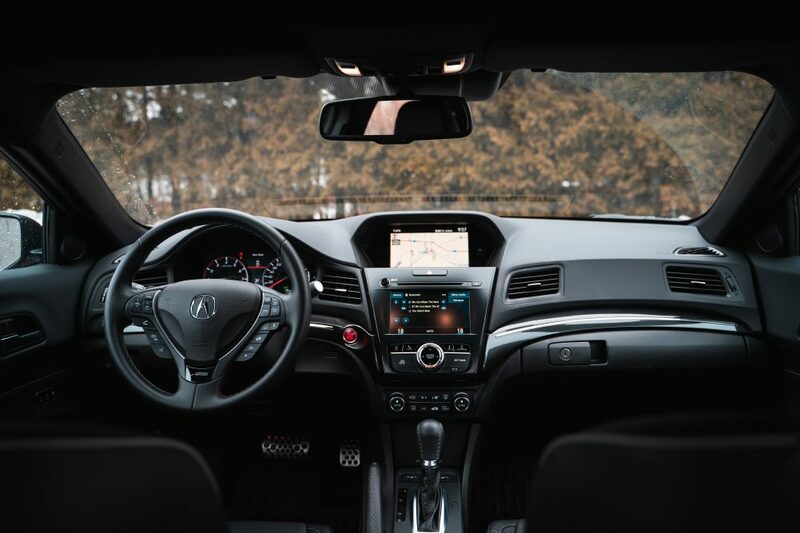 Acura also shuffled a bit with the interior, changing materials to improve its luxury demeanor. 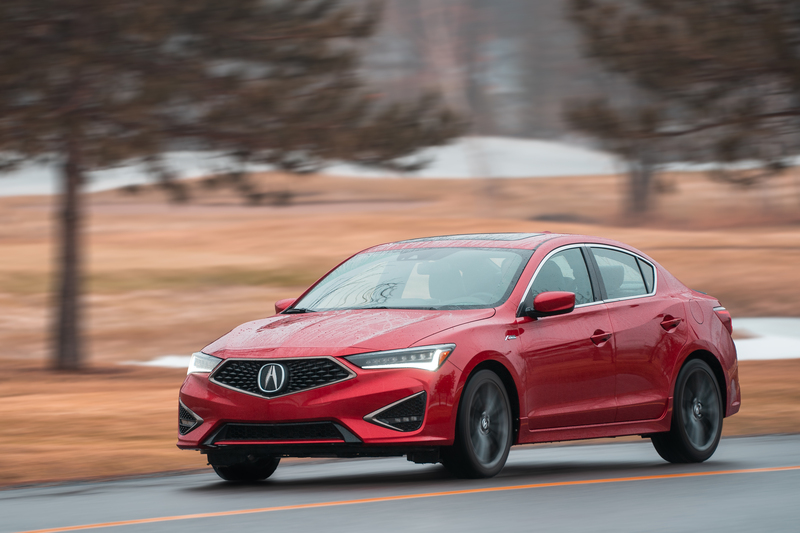 The furiously irritating dual-screen infotainment system remains, but Acura claims to have simplified it and sped up its processing speed. 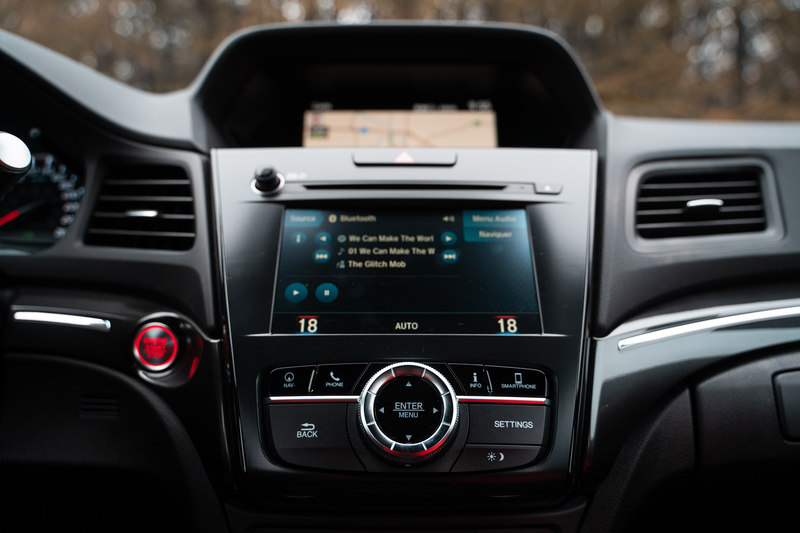 It’s now Android Auto and Apple CarPlay compatible. 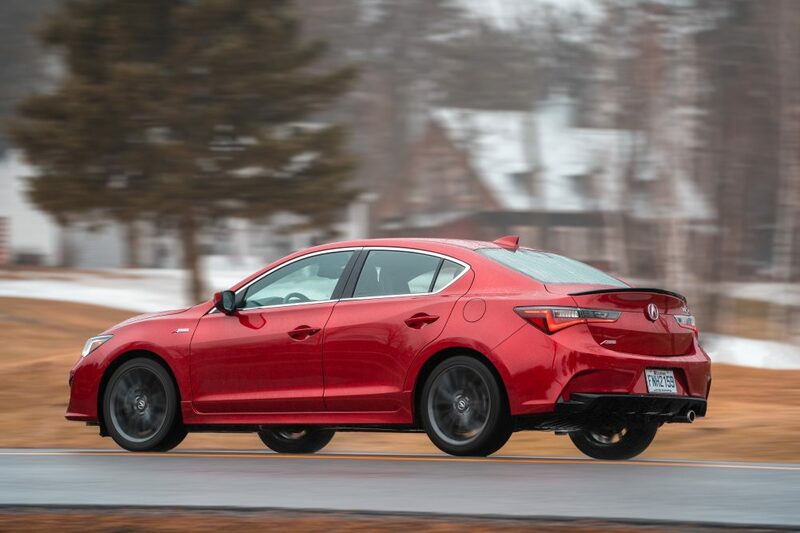 The ILX’s ageing platform is actually what makes it so charming, and also contradicting. The moment you get behind the wheel, you instantly realize what we’ve lost with turbocharging. That little engine sings to the music of a fine-tuned valvetrain at the activation of an angry camshaft the moment VTEC kicks in at 5,500 rpm. 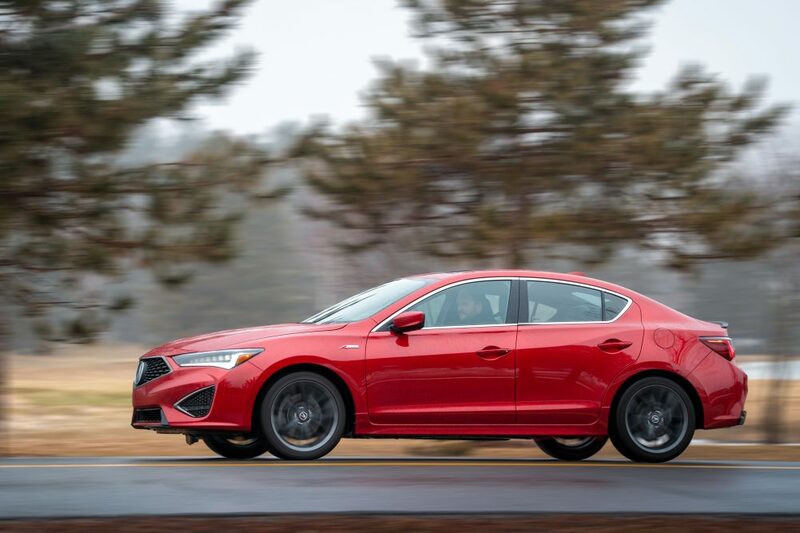 What the ILX loses in instant torque, it makes up for with high-revving urgency, which reminds you of how great Honda engines used to be. 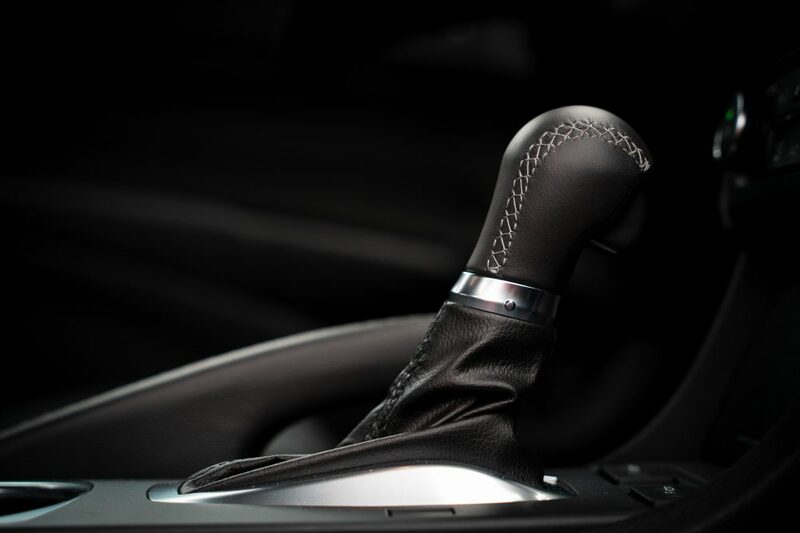 And the dual-clutch gearbox, only when put into S mode, actually works. I say only in S, because in conventional D it lags and hunts for gears, somehow. Like most Acura products, this one only works in Sport mode when thrashing the car. But boy oh boy does it reward you when you do, as it blips through gears at near Porsche-PDK speeds, holding on to revs, with short gearing helping take the most out of the high-strung engine. I also love how simple the ILX is, again, because of its dated architecture. Traction control can be removed at the simple push of a button. The same can be said about the annoying semi-autonomous toys which now come standard on the car. And there’s even a good-old physical handbrake if you desire to partake in some good old front-wheel drive drift action. 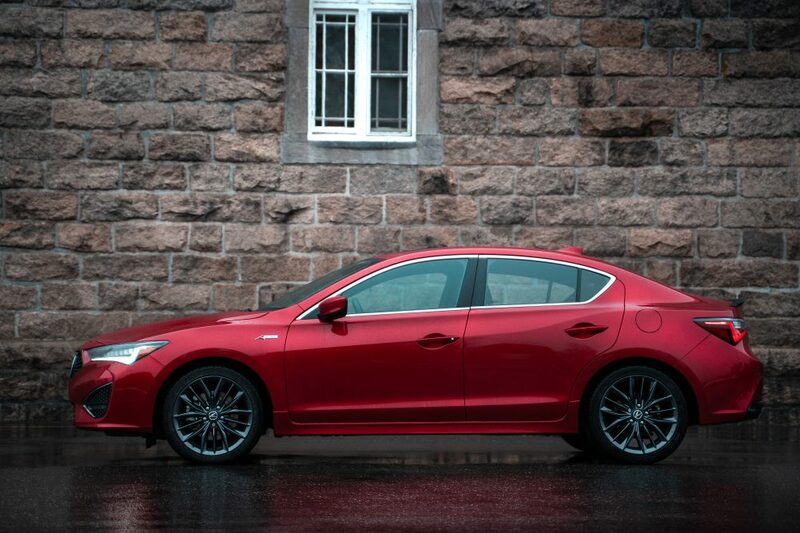 Enter a corner fast, and the ILX hugs to the tarmac and turns in sharp, encouraging you to push it to its limit. There’s no limited slip differential here, which is a shame, because the chassis is plenty capable of taking massive abuse. 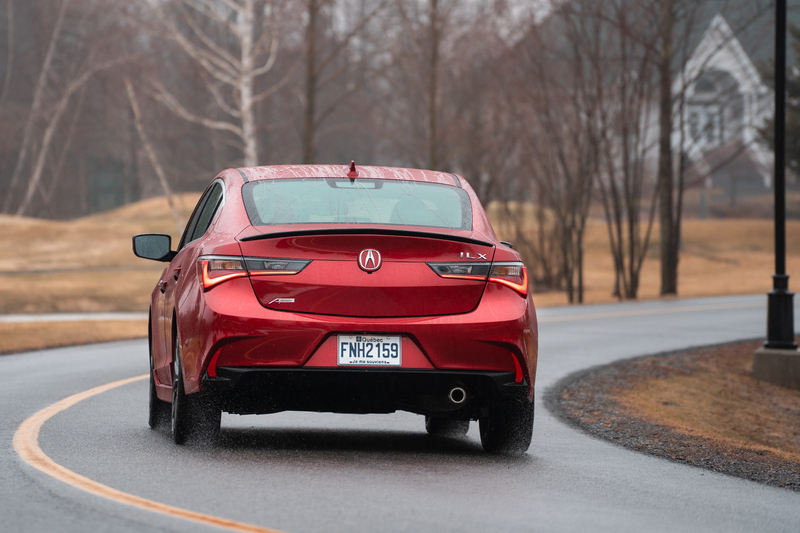 Not super fast, but not a penalty box either, the ILX allows its driver to disappear in the art of driving, something rare today. Why is My Head Touching the Ceiling? So, as a cool, cheap, fun car, Acura has managed to capture some of the Integra’s spirit with the ILX. And you know that K24 engine isn’t going to let you down anytime soon. Sadly, we can’t say the same about Honda’s latest 1.5-litre turbo. It’s mixing oil with gasoline as I’m writing this. Yes, many owners hate their Civics, Accords and CR-V’s right now. Essentially, what Honda is telling you with the ILX is that it’s selling you two flavors of Civic Si, the old one, and the new one. And that the old one has a much more engaging drivetrain. That’s it, though. Sadly, the rest of ILX kind of falls apart. I mean, it’s cabin is well put together, and rear legroom is ample for the class. So is the trunk, it’s actually a tad bigger than an Audi A3. But the seating position makes no sense at all, the seats are set up high in the cabin, so your head always rubs the headliner, and Acura, I’m sorry, but that two-screen infotainment system with graphics that seem to have been taken from an early 2000 Nokia cell phone have no reason to be in a luxury sedan. But I get it, Acura. I get why you’ve pumped money into a facelift for this car, and why, at least, I hope, you’ll release a newer, fresher version based on the current Civic platform in a few years. “Experts” will tell consumers to get a Civic Si, a Honda Accord or even a Volkswagen Jetta GLI for similar money. I say get the ILX because it’s one of the last true Honda’s we have left. It looks good, drives great, sounds bitchin and won’t destroy your wallet along the way. It’ll also never let you down. What’s not to understand? Why is a Civic more sophisticated?